It's finally officially official: Daniel Craig is coming back for a 5th time to portray 007 in Bond 25 and Danny Boyle is set to direct. If that wasn't enough, it has also been announced that the long awaited movie will begin filming in December. Craig, who previously said that he'd rather slit his wrists than paly the iconic character again, teased that he'd be on board for Bond 25 on a recent red carpet interview. However, when asked about Boyle directing he said, "we'll see, we'll see." The official James Bond Twitter account has confirmed that Danny Boyle will direct Bond 25 with a script that was written by John Hodge. Additionally, this is the first real confirmation that Daniel Craig is on board. And no, he has not slit his wrists. Instead, it looks like Craig is set to earn a boat load of cash for signing on to play James Bond for the 5th time, which would more than likely prevent the actor from taking his own life. Production on Bond 25 will begin on December 3rd, while MGM will partner with Universal Pictures to release the film worldwide. 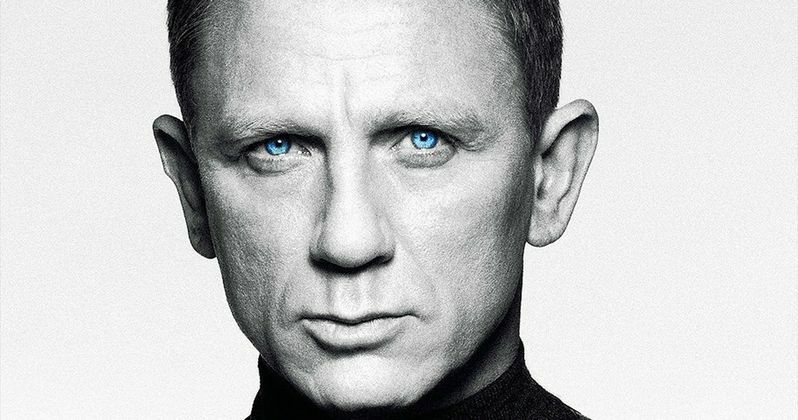 It had previously been reported that MGM was trying to sell off the James Bond franchise. The aforementioned reports have proven to be false, especially the ones indicating that MGM was using the James Bond franchise to make the sale happen. Sony was the rumored top bidder, but it appears that the power of Daniel Craig and Danny Boyle have made MGM decide to stick with Bond 25, which is probably the best idea for all parties involved. Danny Boyle has been rumored to direct Bond 25 for the past few months. When asked directly, Boyle was noncommittal, noting that he had other projects to work on while stating that if anything was going to happen with Bond 25, it wouldn't be until the end of this year. The director also put most of the heavy lifting on screenwriter John Hodge by saying that it would depend on the right story being used for him and Daniel Craig to sign on for the project. However, Hodge must have done a pretty good job or handed over a giant bag of cash to get Daniel and Danny on board for Bond 25. Bond 25 will hit theaters on November 8th, which means that the production start date of December 3rd is right on the money. Many 007 fans were beginning to get a bit nervous since no official information had been released up until this point. Now, those James Bond fans can breathe a sigh of relief in knowing that everything is right on track and where it supposed to be. Production of Bond 25 will begin at the end of the year and Daniel Craig along with Danny Boyle are finally officially confirmed for the latest 007 movie. You can check out the official announcement below, thanks to the James Bond Twitter account.